Spiritual Prayers - What, why and how? The practice of prayer can be found in all religions in one form or another. Put simply, prayer is a way for a person to communicate with God. Spiritual prayers can be conversations with God, taking no particular form or style (I say conversation loosely, as it often appears very one-sided and the responses do not tend to come in the usual manner...). They can also be a certain collection of words, similar to a poem, that are repeated at various occasions, sometimes daily. There are many reasons why someone might want to say spiritual prayers. We can share with God what is on our mind and ask for guidance or intercession (direct action) from God. We can repeat set prayers to build a momentum of devotion to God - a storehouse of positive energy that the angels and cosmic beings can use to help mankind. So how can I pray? 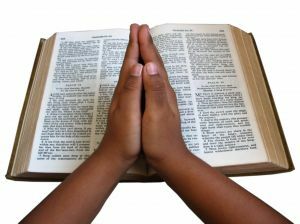 The power of spoken prayer is known as the Science of the Spoken Word. For further reading about that, check out spoken prayer is more effective than silent prayer. So, having established that we're going to say our spiritual prayers out loud, what are we going to say? This is the fun part - you can make it up! If making it up sounds a little daunting or you want to feel reassured that you're "saying the right thing" (there isn't any right or wrong in praying but I can understand the feeling) then here are a few set prayers you might like. Saint Francis offers us a beautiful, simple prayer, well-known in Christian-based countries. My favorite prayer is the Hail Mary from the New Age Rosary, which is similar to the traditional Catholic prayer but with a more positive ending - affirming that we are sons and daughters of God on a path leading to victory, rather than the 'miserable sinner' theory. In this spiritual prayer, we are addressing not only Mary, mother of Jesus, but also the feminine aspect of God, the Divine Mother. Mother Mary is one of many representatives of the Divine Mother. as part of a rosary. For a beautiful printable booklet explaining all about Mother Mary's Rosary for the New Age, including the full set of rosary prayers, click on the picture above. The spiritual audio and booklet are provided by The Summit Lighthouse.